Is your child’s inquisitive nature starting to blossom? Instead of just physically exploring everything, they are now wondering why things are the way they are. During this stage of their life, it’s important to give their brain the “fuel” it needs to develop. And essential fatty acids (EFA) is a crucial part of this. Adding Equazen provides EFA supplementation that may help provide benefits of increased concentration and improved learning capabilities. 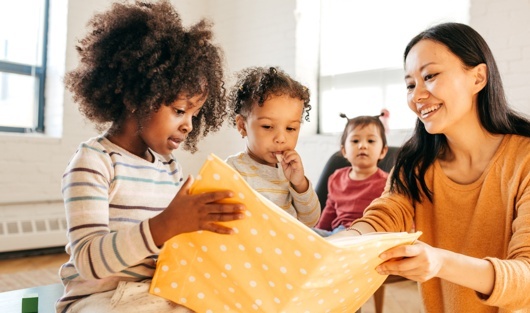 At this point, your child may have also graduated from the Equazen toddler-friendly liquid formulation and/or may now prefer chewable capsules that still eliminate the need for swallowing, and might make them feel a bit more grown up. Equazen Chews contain all the proven ingredients that the Equazen range provide, all in one tasty strawberry bite-size chew (available in clear or red capsules). Food for thought: Is swallowing pills an issue for your child? 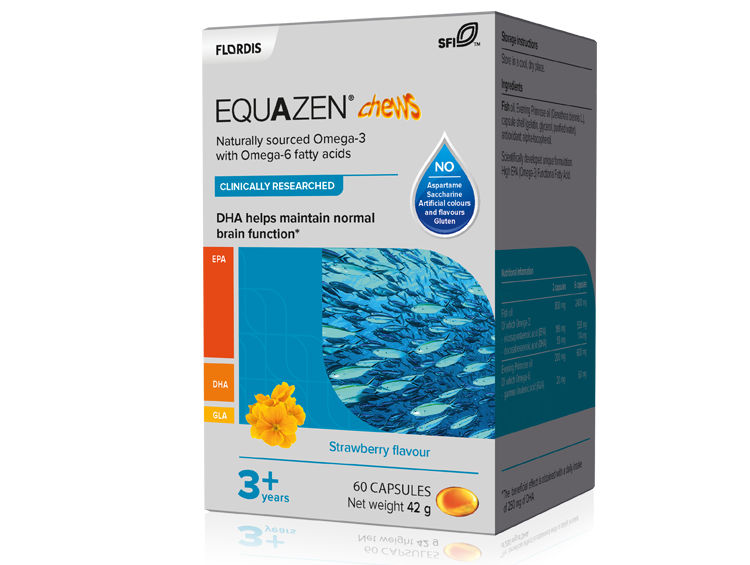 Learn more about Equazen chews to supplement their essential fatty acids intake without the hassle of swallowing a pill. Starting dose: Take 6 chews per day for the first 3 months. Maintenance dose: Take 2 chews per day thereafter. Always read the label and follow the instructions for use. Equazen is well tolerated. Tolerability data from clinical investigations as well as the post-marketing experience support the safety profile of Equazen formulations. Equazen® gelatine used in the clear chews is certified halal. Your child is not alone, as many as 1 in 10 children may experience learning difficulties. Learn what they are so you can quickly identify if your child may need help. Sinn N et al. Prostaglandins Leukot Essent Fatty Acids. 2008;78(4-5):311-26. Richardson AJ et al. Pediatrics. 2005 May;115(5):1360-6. Kidd PM. Altern Med Rev. 2007 Sep;12(3):207-27. Simopoulos AP. World Nutr Diet. Basel,Karger,2003,vol92,pp1-22. Innis SM. J Nutr. 2007 Apr;137(4):855-9. Johnson M et al. J Child Psychol Psychiatry. 2017 Jan;58(1):83-93. doi: 10.1111/jcpp.12614. Epub 2016 Aug 22. Barragán-Pérez E.J. et al. Journal of attention disorders. Jan 24,2014. Johnson M et al. J Atten Disord. 2009 Mar;12(5):394-401. Johnson M et al. J Atten Disord. 2014 Jan 24. Bauer I et al. Hum Psychopharmacol. 2014 Mar;29(2):133-44. Portwood MM. Nutr Health. 2006;18(3):233-47. Review.